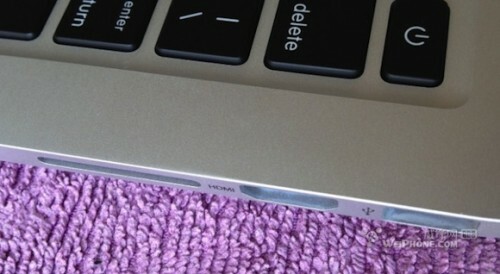 9to5Mac reports that it has received information on three models of the 13-inch Retina MacBook Pro launching today. According to sources, the machines appear to use the same 2.5 GHz and 2.9 GHz processors found in the non-Retina models, and like the 15-inch Retina MacBook Pro all of the 13-inch Retina models start at 8 GB of RAM. Unlike the 15-inch lineup, however, the entry-level 13-inch Retina MacBook Pro will come with 128 GB of flash storage, with higher-end standard models moving up to 256 GB and 512 GB of storage. The 15-inch Retina MacBook Pro starts at 256 GB of storage. Pricing on the 13-inch Retina MacBook Pro is said to start at approximately $1699, a $500 premium over the non-Retina model. For that premium, users will receive a Retina display, 128 GB of flash storage instead of a 500 GB traditional hard drive, and a bump from 4 GB of RAM to 8 GB. The Retina version of course also comes in a thinner form factor that omits the optical drive and Ethernet and FireWire ports. The site has also received details on the new Mac mini models coming out today, with the high-end models now moving to quad-core processors. As with the existing lineup, there are two standard configurations and a server configuration. The new Mac mini models should retain the current pricing and gain build-to-order RAM options of up to 16 GB. I only want Apple to release an updated iMac so people on here will shut up already. $1699 is way too much if it only has a 128GB SSD. $500 premium and only 128GB of storage?! You are becoming a joke Apple. This is not a "Pro" product at all. Just a gimmick. 128 Gig SSD in a "pro" computer? Perfect for browsing MacRumors and Facebook. No hard drive. No thanks. Why is anyone surprised that the configuration would be flash only given the example of the 15" rMBP? You can get an aftermarket SSD 550MB/s read/write minimum for under $100 for a 120GB model. 16GB RAM costs something like $50 these days. So basically, you are paying $350 for a screen that the hardware is too underpowered to produce satisfactory performance. Quad-Core Mac mini? Holy cow, time to sell the spare kidney.